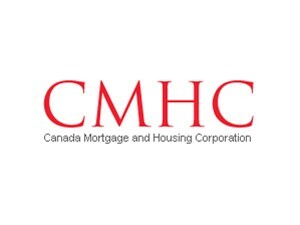 For the third straight year, CMHC’s total assets and liabilities have fallen; but its net income and total revenue have increased to five-year highs. CMHC’s net income rose to $2.6 billion in 2014 (up from $1.8 billion in 2013), while its total insurance in force fell $14 billion to $543 billion this past year. The Crown Corporation has taken steps to minimize its influence on the economy and housing markets, which is evidenced by the shrinking number of assets, which totaled $248 billion in 2014 – down from $270 billion in 2013. Total claims paid also fell for the fifth straight year to $419 million, which the corporation attributes to the strength of its underwriting. Access the entire report here. It's time to shut CMHC down. Taxpayers should not be on the hook for other peoples mortgages. Let the lenders/investors carry the credit risk on their books. Yes, it is quite effective in keeping those out of the market that need in the most. I guess the master plan is to keep those with a dream of home ownership out and we will take care of them when they retire. I know many will say "well, if they can't afford it they shouldn't be buying". We need to remember the purpose of CMHC was to get those less fortunate into the market and let them build pride and savings for the future. Now it is being used as a vehicle to widen the gap between the less fortunate and those that have more than enough. Homes are unfordable because interest rates are abnormally low. Normalizing rates would allow young savers to accumulate for a down payment and would reduce house prices and improve their affordability. CMHC only serves as a conduit to transfer credit risk to the taxpayers.